ITT Corporation has announced that it passed a key milestone last month with successful completion of the critical design review (CDR) for the Mission Data Unit (MDU) the company is developing as part of the navigation payload for the U.S. Air Force’s GPS III program. Conducted at ITT’s facilities in Bloomfield, New Jersey, on May 4-7, the CDR demonstrated that the MDU design meets program requirements and is ready to proceed to the manufacturing phase of the program. The MDU generates all of the navigation signals for military and civil users and maintains the highly precise timing for navigation performance. The CDR was a thorough review of the hardware and software designs and demonstrated complete compliance with GPS III’s rigorous military standards requirements. 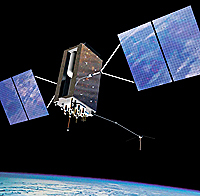 Headquartered in Rochester, New York, ITT Geospatial Systems is a major teammate on the Lockheed Martin team that was selected in May 2008 by the U.S. Air Force to build the next-generation GPS III program.